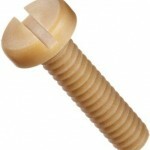 What kind of screws are you going to use on your next construction or manufacturing project? The answer is surprisingly complex. The average person doesn’t realize just how many screw choices there are, and w e’re not just talking about diameter and length. 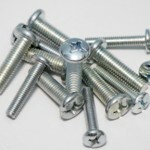 Screws can be made out of many different materials, all of which have something unique to offer. 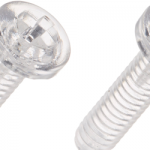 In our last article, last week we talked about polycarbonate screws. It’s a type of screw that you aren’t likely to see people use on home improvement projects, but they are extremely effective when used in electrical components and in the automotive industry. But, just because polycarbonate screws are a good choice in these industries doesn’t mean they’re the right choice for other industries. At E&T Fasteners, we know screws inside and out, which means we offer an unbelievable array of materials to choose from. 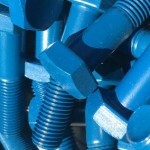 One type of material you may want to consider when shopping for screws for your next project is ABS. Before you can determine whether or not ABS is a good choice of material for your construction or manufacturing project, you have to understand exactly what it is. ABS stands for acrylonitrile butadiene styrene. As its name implies, it is made out of these three chemicals. Although it may sound fancy, it is a fairly common thermoplastic polymer. Proportions can vary pretty widely. ABS can contain as little as 15 percent or as much as 35 percent acrylonitrile. 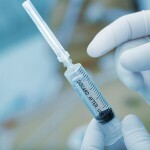 It may contain just 5 percent or up to 30 percent butadiene, and 40 to 60 percent styrene. No matter what the composition, ABS is stronger than pure polystyrene, which is another thermoplastic polymer. That’s because its composition features crisscrossed chains of nitrile material that attract each other, binding each other together. That accounts for the acrylonitrile, but what about the butadiene and styrene? Well, butadiene is a rubbery substance that provides the plastic with toughness, even when temperatures are low. The styrene gives the plastic a shiny look, and more importantly, and impervious surface. 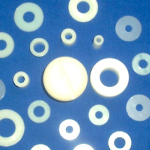 So, which industries commonly use ABS plastic material? 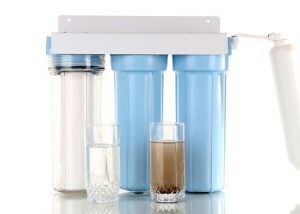 Water purification equipment is quite complex, considering its job is fairly simple—purifying water. Temperatures can vary widely, depending on the equipment being used, and ABS can hold up to those extreme temperatures. It can handle a range of temperatures from −4 to 176 degrees Fahrenheit. These properties also make it appealing to laboratory equipment manufacturers. However, it does have some limitations. There are some chemicals and compounds that can swell the plastic, while others make it completely soluble. So, understanding the demands of the particular water purification process or the laboratory in question is important when deciding if ABS is the right choice. As we mentioned earlier, polycarbonate screws are a good choice for the automotive industry, but ABS is a good choice as well. That’s because it offers extreme impact resistance and toughness. It’s even more appealing because impact resistance, toughness, and heat resistance can all be modified depending on the application, making it a good choice for automotive trim components and aircraft interior trim. For example, to affect impact resistance, simply increase the proportions of polybutadiene in the compound. Stability under a load is exceptional, as long as the load is limited, which makes it even more appealing in the automotive and aircraft industries. In addition, it can be machined to close tolerances and may also be thermoformed, providing manufacturers with even more options. Based on these applications, ABS sounds like a special compound that the average person doesn’t have regular contact with. Nothing could be further from the truth! The fact is, ABS is around all of us every day. Because it is lightweight and can be injection molded, it is used in a wide variety of manufactured products. Musical instruments, like recorders and piano movements, are often made out of ABS. Golf club heads are frequently made out of this material because it has good shock absorbance, and it’s even used to create whitewater canoes. When it comes to everyday stuff, you can find ABS in your small kitchen appliances, on the edges of your furniture, and in your luggage. 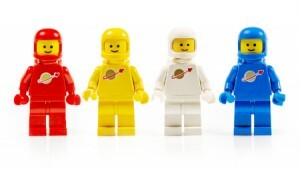 If you’ve ever stepped on a Lego and screamed out in pain, you have ABS’s impact resistance and toughness to blame. But, the most surprising way ABS is used? It is used as a colorant in some tattoo inks! There’s no doubt that ABS screws can add a lot of strength and durability to your next project, but that doesn’t mean they’re right for your particular application. It’s best to compare the features of ABS to other material properties when deciding on the right screws. If you want to know if ABS is the right material for the screws you need to order for your construction or manufacturing process, or if you want to know more about how it stacks up against other options you have, give us a call. We would be happy to tell you more about all the screws we offer here at E&T Fasteners, including how our ABS screws compare to our other options. This entry was posted in Plastic Fastener Materials, Plastic Manufacturing on September 15, 2017 by Fastener Components.